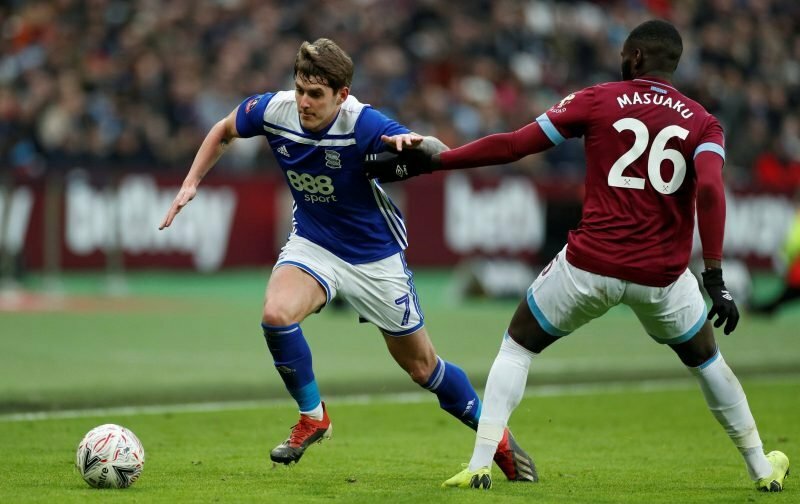 West Ham eased into the FA Cup fourth round after a 2-0 victory over Birmingham City, avoiding a potential slip against the Championship side. The Hammers have endured a rollercoaster campaign under the guidance of Manuel Pellegrini, which started poorly amidst a difficult run of fixtures, but significant improvements have been shown in the past few months and the win over Birmingham continued that trend. While there were plenty of positives to take from the performance, many fans on social media were critical of the performance shown by Arthur Masuaku – a player who has often found himself subject to criticism from the supporters this season. The Frenchman continues to be a better asset in attacking positions than he is defensive areas, which is obviously a concern for a full-back, and he will need to significantly improve over the course of the coming weeks if he features against the likes of Arsenal and Liverpool. We have gathered some of the comments from fans on social media below. Masuaku beaten by his man for the 28463828th time todsy. Poor. Masuaku getting schooled by championship wingers. Carroll missing simple defensive headers and offering nothing going forward. On Masuaku watch. One defensive block, one defensive stumble, defended like a bollard in 44th minute and Antonio cleared danger, beaten in air at back post for header wide (barely jumped) and jumped under ball on another occasion. Dire! Xande Silva is so much better than Lucas Perez. Also Nasri is pretty good. Masuaku is pretty not good.